Republican control of the Senate with less than 60 senators means nothing at all to the long-term political status for either party. If the GOP sends bills that the President feels is not in the best interest of his party and the country, Obama will veto. Without 66 GOP senators to overturn a veto, the GOP ends up looking silly again. ALSO the filibuster dooms any activity the majority wants, just ask Ron Paul and Ted Cruz for their crib notes. No 2/3rd’s to override veto so we return to gridlock unless both parties come together with the end of the attempts to override ACA and centrist opinions will pass and be signed. 2014 is exactly what the Democrats need for Hillary in 2016. They need a ticked off electorate, sick of the bills brought forth to the president’s desk and because of this will fight harder to choose Hillary and have the benefit of a stronger seats to defend in blue states in 2016. The GOP will have to defend 23-25 seats, while the Dems will only have to defend 9-11 seats. The next 280 days are VITAL for the Republicans. I wish I could underline this + bold this next sentence. Find a candidate like Scott Walker in Wisconsin and prepare him for facing Chris Christie. What needs to happen is a SHORT primary season. Because IF I am Hillary, I am DREAMING of yet another GOP fight. This election really means nothing. 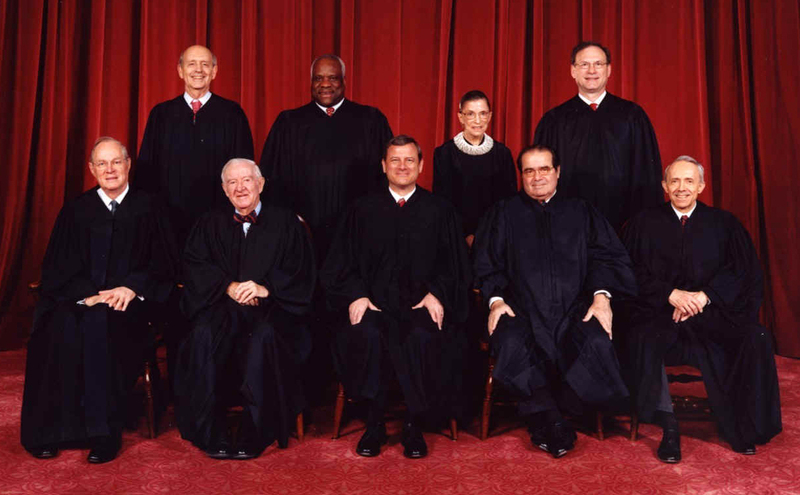 EVEN if Ginsberg, Scalia, Kennedy or Breyer pass away… it is meaningless. Which Quote should I write up next?